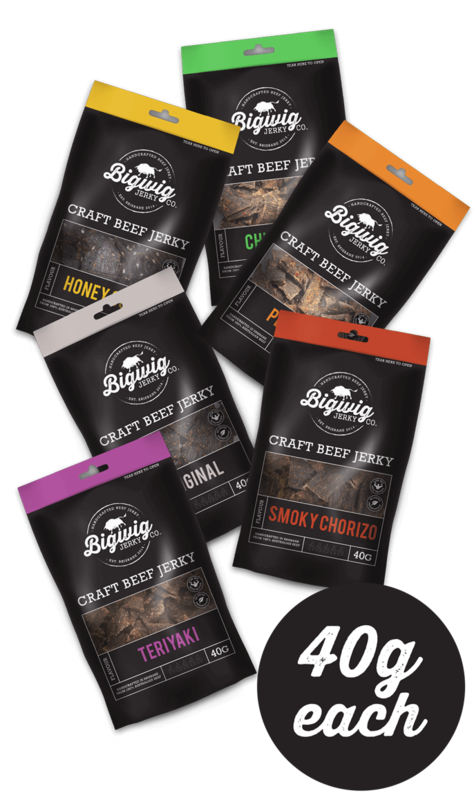 Jerky 100g Variety Bundle - Save $20 | Bigwig Jerky Co.
Get a taste for all of our unique flavours. Don’t pay $90 for them all – Save $20 and buy as a bundle! Get a taste for all of our unique flavours. 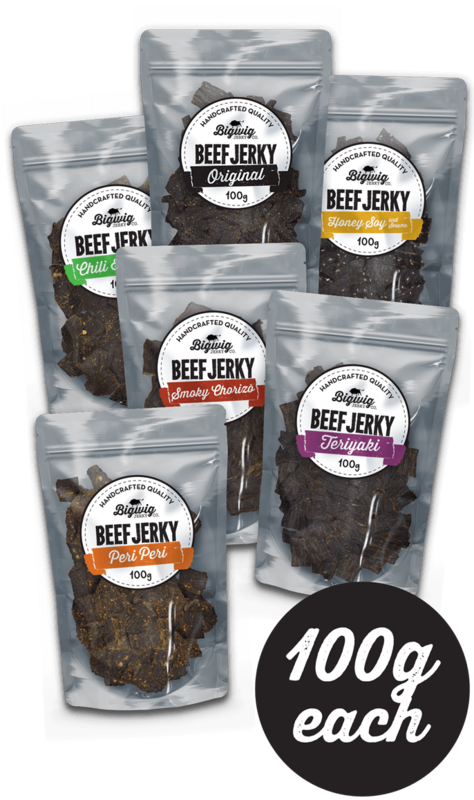 This bundle contains a 100g pack of each of our beef jerky flavours (6). That’s over half a kilo of jerky for you to enjoy.